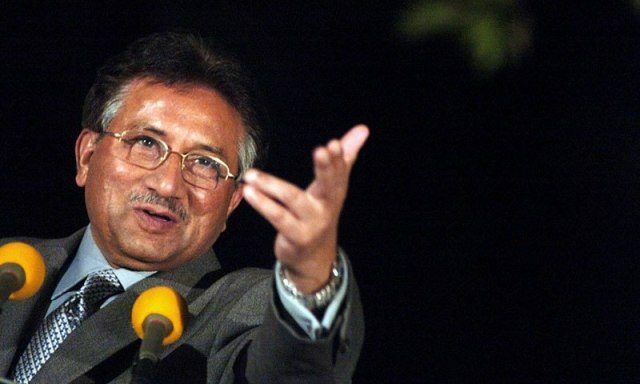 Former president General (retd) Pervez Musharraf has acquired nomination papers to contest the elections from National Assembly seat NA-247 in Karachi, SAMAA TV reported Saturday. The former military ruler, who has been living in London for the last two years, acquired the documents from the Election Commission of Pakistan office through his counsel. After the 2018 delimitation, the NA-247 constituency (Karachi South-II) is comprised of the Clifton Cantonment Board, Defence, Karachi Cantonment, Saddar and Arambagh. Tough competition is expected for the seat as several other political heavyweights are also throwing their hats into the ring, including MQM’s Farooq Sattar, PTI’s Arif Alvi, PSP chief Mustafa Kamal and JI Karachi leader Muhammad Hussain Mehanti. On Thursday, Supreme Court allowed Musharraf to file his nomination papers to contest the elections on the condition that he would appear in person before the court on June 13 in Lahore to attend the court hearing. In March 2016, Musharraf left for London after three years of being banned from international travel. The former army chief, who took power in a 1999 coup, is facing charges of treason. He was nominated in the Benazir Bhutto murder case. An anti-terrorism court in August 2017 declared Musharraf an absconder.